http://riskandinsurance.com/a-perfect-landing/It is interesting to read their insights, and that by industry standards Tim did an outstanding job! We all knew that but it's great to see it reflected by his new insurance industry peers. I worked closely with Tim to defend an HG pilots against a frivolous lawsuit filed by another USHPA member. He did a good job and the case got tossed. Too bad we had s**tty private liability coverage that easily caved in to questionable claims and one USHPA member who committed treason. Many of those claims were legit however and the fault of the USHPA pilots involved. The membership at large failed to grasp this concept that we were being f***ed over by our own irresponsible members, some of whom were being vehemently defended until their crimes were exposed to the light of day. So we got dropped and were left holding our dicks. I'm glad Tim was able to get the self-insurance thing working. Too bad there's so much confusion and animus going on with lots of small guys describing how they're getting squeezed out. NMERider wrote: Too bad we had s**tty private liability coverage that easily caved in to questionable claims and one USHPA member who committed treason. Truthful testimony in court is the cornerstone of justice in the United States. For Jonathan to call that "treason" reveals the gang-like thinking so common in USHPA (and USHPA loyalists). Jonathon and others should realize the problem does not rest with "patriots" and "traitors." If parachuting had not been admitted into the USHGA, these problem would never have arisen. People suddenly found themselves in positions they never wished to be in. It is just as easy (and correct) to say that the hang glider pilots who were complicit in this murdered our sport. 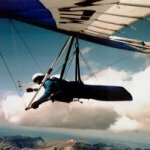 Let bygones be bygones and start over with a new national hang gliding association. I worked closely with Tim . . . Too bad we had s**tty private liability coverage that easily caved in to questionable claims and one USHPA member who committed treason. Many of those claims were legit however . . . So Jonathan is saying that the u$hPa had bad insurance coverage for how many years? Bad coverage? And that that insurance broker "easily caved in to questionable claims"? JD, insurance companies pay good lawyers to fight hard against invalid claims - but they don't waste money paying lawyers to fight VALID claims. So, JD, what was the questionable claim? Please explain. Or is that just your deceptive spin on an avoidable, serious accident that resulted in a very valid claim - against Air California Adventures Inc. If Air California Adventure Inc. was covered under u$hPa site insurance, then that involved a corrupt u$hPa ignoring a dangerous paragliding business. A business that should have been reigned in years before, using every effort the u$hPa could muster. But an incompetent PG training facility (as well as the u$hPa) screws up and the insurance company is at fault? AND, a loyal u$hPa member who warned about just this kind of thing happening - and managed to get elected as a Regional Director - committed "treason"? I don't know what planet Jonathan Dietch lives on but it's not planet Earth. Dang! He even contradicts himself in the middle of his tirade and states the "claims were legit". I wonder if he realizes how stupid he sounds? So, Jonathan D is praising Tim Herr (and the u$hPa?) for creating this wonderful RRRG (much better than the old insurance coverage ). The only thing is, with a couple of questionable - or not so questionable - big $ claims being filed and the u$hPa's RRRG will evaporate and all the money shoveled into it will be GONE!. And that could also lead to the evaporation of the u$hPa. At least the $ part. I would add finally, setting up the RRRG was most certainly not an easy thing to do and the efforts put into its creation should be appreciated - if you're a u$hPa member or chapter that needs site insurance. The only thing is, with a couple of questionable - or not so questionable - big $ claims being filed and the u$hPa's RRRG will evaporate and all the money shoveled into it will be GONE! "State insurance insolvency guaranty funds are not available for Recreation Risk Retention Group, Inc."
Are there any paragliding outfits in the RRRG? 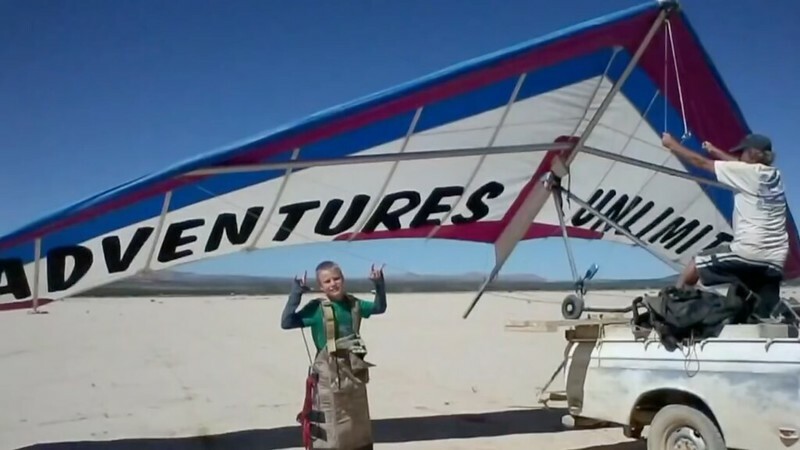 There is an elephant in the room and it is renegade/poorly run commercial hang gliding operations. Luckily the parents of the above young man (now deceased) chose not to sue the U$hPa. But I want to return to the Johnathon Deitch flow. I've thought a little about what he's quoted as saying above, and I don't think his primary intent was to be an idiot or an A**hole for saying those things. * I think his goal was to be a kind of cheer leader for the sinking ship U$hPa. He's yelling to the proverbial rodents fleeing the ship as it goes down. JD is shouting to U$hPa members that the ship is fine, even better than before! Particularly since we got rid of at least one traitor and that no good commercial insurance coverage (the RRRG is SOOOO much better). JD is essentially acting as a U$hPa propagandist. Kinda like a U$hPa Fake News reporter. * But then there's his secondary intent. wingspan33 wrote: But I want to return to the Jonathon Deitch flow. I've thought a little about what he's quoted as saying above, and I don't think his primary intent was to be an idiot or an A**hole for saying those things. * I think his goal was to be a kind of cheer leader for the sinking ship U$hPa. Good observation. USHPA threw a few crumbs of recognition at Jonathan Dietch and now he's their eternal boot licker. wingspan33 wrote: He's yelling to the proverbial rodents fleeing the ship as it goes down. JD is shouting to U$hPa members that the ship is fine, even better than before! Particularly since we got rid of at least one traitor and that no good commercial insurance coverage (the RRRG is SOOOO much better). Jonathan's use of the word "traitor" is priceless. It reflects their view that testifying honestly in court is something that the USHPA insiders consider "traitorous". That defines them very nicely. ...And now SG should stop us from talking about that place altogether. That better? ...as my predicting SG would be locking that thread down, you're wrong. I was just having some fun paraphrasing Jon and Dennis' back and forth. Jon is actually the one who suggested/requested, not predicted the outcome. I just parodied it back. TORREY INCIDENT, SHOULD USHPA GET INVOLVED? brian scharp wrote: ... Now it's some sort of carnival staring PG guys throwing people off for cash and making it unwelcome for one HG pilot who deserves what he got. That better? Who said it was a carnival? It's simply obvious where the revenue comes from. I thought their student safety record was okay. My impression is that the accidents at Torrey were mainly experienced PGs doing what they shouldn't. In the times I have flown there since 2009 I have not only been treated very well but found then to be tolerant of my own indiscretions. A small cadre of HGs have gone out of their way to give the place a bad name. It's a shame. Maybe it's time that sg banned all conversation of Torrey on the Org and not just of certain former members of the Org.